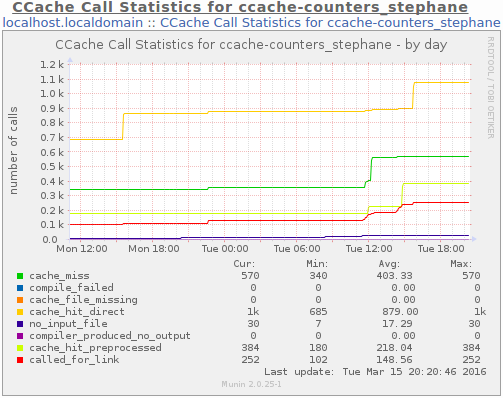 CCache statistics counters are tracked per user. 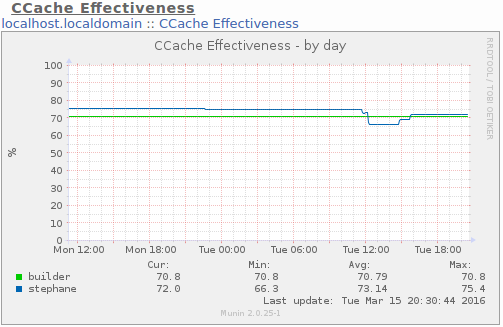 CCache hits versus misses are used to determine cache effectiveness. The number of files per individual CCache user. 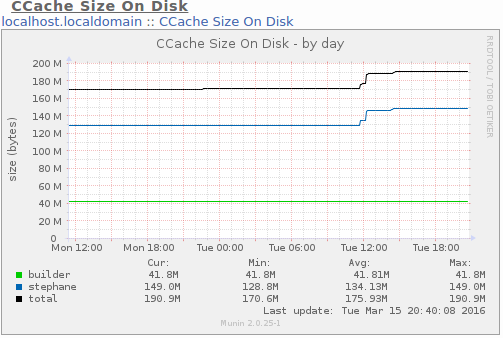 The size of files per individual CCache user. 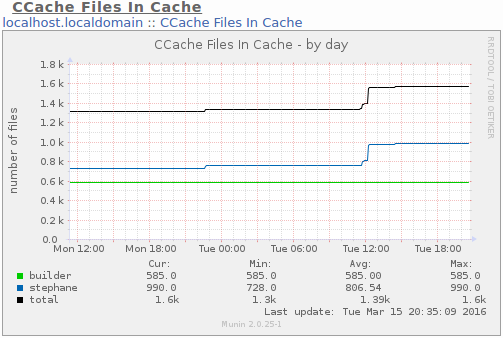 Download the CCache Munin plugins.